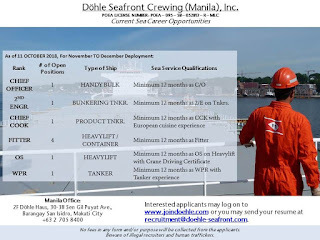 MARITIME JOBS INFO - Posted 10/11/2018 DOHLE SEAFRONT CREWING (MANILA) INC. 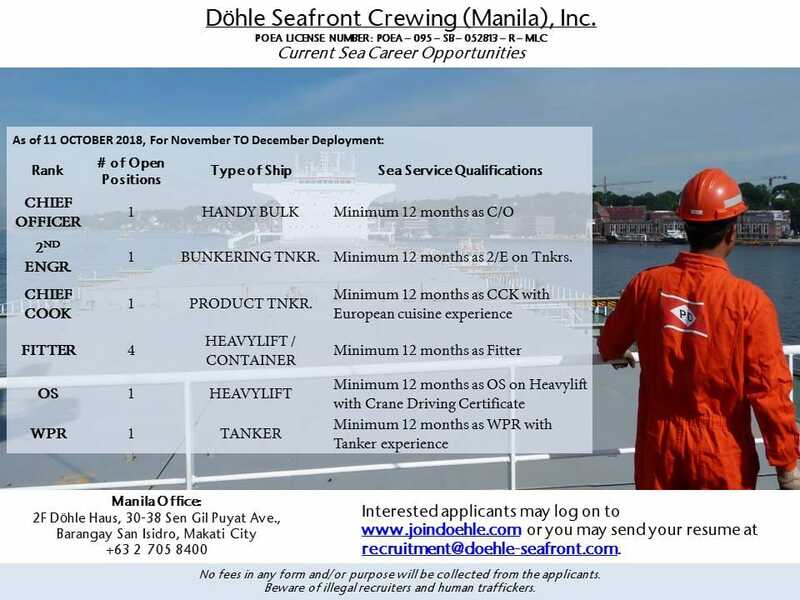 Hiring crew for a bulk carrier, bunkering tanker, product tanker, heavy lift cargo, container ships joining A.S.A.P. 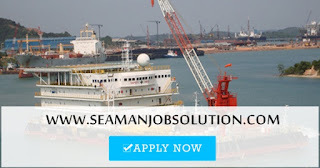 0 Response to "Ordinary seaman, Wiper, Fitter, Chief cook, 2nd engineer, Chief officer & More Position"